Elsa, Anna, Kristoff, Sven and Olaf the snowman are headed to Queensland for the FIRST TIME EVER with Disney On Ice! They will joined by Mickey Mouse, Minnie Mouse, Donald Duck and Goofy, as well as Belle, Ariel, Rapunzel, Flynn and more! Disney On Ice presents Magical Ice Festival opens in Brisbane on June 23 this year and will feature the magical winter wonderland of Frozen. The 2016 ice spectacular will also present the enchanting adventures of Disney’s The Little Mermaid, Tangled and Beauty and the Beast, presented by popular hosts Mickey Mouse, Minnie Mouse, Donald Duck and Goofy! 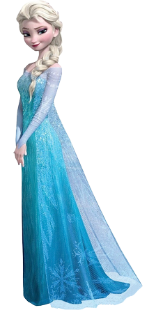 Queen Elsa of Arendelle. It’s very nice to meet you. And may I ask your name? Well, being Queen does keep me busy but I do really enjoy exploring my new found snow and ice powers. There’s a fountain in our town square where I like making ice sculptures for everyone to enjoy. I’m going to guess that if you asked my sister, Anna, she would say chocolate. I would too. We have that in common. My little sister, Anna. We were very close when we were little and are even closer now. My parents were always so careful to make sure Anna and I felt loved and safe; their example is what first taught me how important family is. After I was able to truly let go and embrace who I was as an individual, I was able to appreciate them even more. You see, what makes family and friends so important is the fact that they are always there for you, even when you pull away. We know you and Anna are close, what are some of your favourite things to do together? Do you mean besides eating chocolate? Well, I’m teaching Anna to ice skate and I really just love getting to do all the things we couldn’t for so long. Can you tell us your favourite part about living in Arendelle? I think it’s the people. They’ve shown me so much patience and kindness, even when they had every right not to. Their example is truly inspiring. What is it like living in a castle? While I do like the castle Anna and I live in most of the time, I also love spending time in my ice palace in the mountains. There’s something so satisfying about making something yourself and then enjoying it. I don't think there’s a view of the Northern Lights like it anywhere in the world. We know Olaf’s favourite season is summer, what is yours? I do like winter very much; There’s so much calm and quiet – and time to be close with the ones you love. I just feel at peace in winter. But of course I think part of what makes winter so great is how much it helps you appreciate summer. Now that the castle gates are open, summer brings such fun festivals and I love to see how happy that makes everyone. Who are you/ your little ones most looking forward to seeing?